Show off your team and your style in the Raiders Antigua Venture Black Polo! 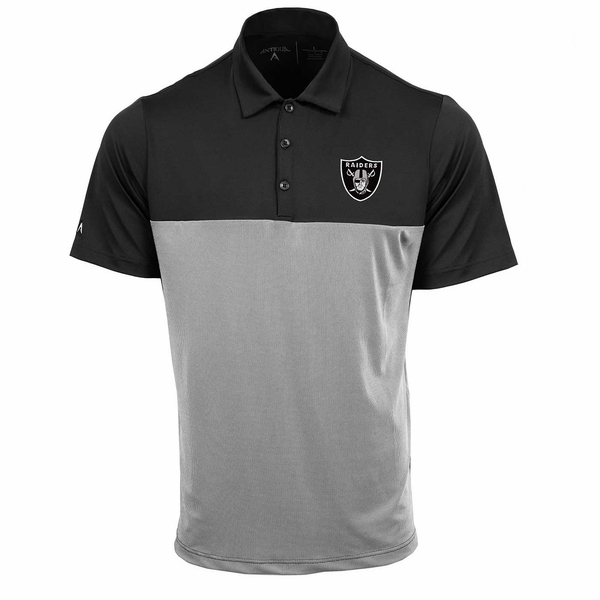 This polo is constructed with Antigua�s Desert Dry� moisture wicking technology, plus color contrasting panels, with yarn dye mini-stripe at the bottom half and a Raiders shield logo embroidered onto the chest. 95% polyester, 5% spandex.